Hospital Farm (also known as Manor Farm), Muston. A No 207 Squadron Lancaster and crew on the runway at Normanton Airfield (RAF Bottesford). 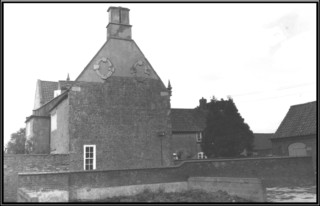 Herbert’s family initially lived at Coles farm, south of Bottesford, before moving to Hospital Farm at Muston, or Manor Farm as it was then known. Harry Shipman was the farmer. Herbert’s father, George Frank Turner, Tom Gale and later a man called Frenchie were the farm workers. Herbert was 6 years old when war was declared. His oldest sister Lucy worked at Normanton Airfield and at Grantham Locos. His brother George joined the Bottesford Home Guard (there wasn’t a unit at Muston) and later enlisted with the Royal Inniskilling Fusiliers. His sister Poppy (Evelyn Irene) worked at the Grantham Ammunition Factory, British Marco (Manufacturing and Research Company). The factory was later bombed and several personnel were killed. There were 10 Muston farms engaged in food production. George Shipman farmed the land next to Glebe House; the Dongers were at Peacock farm; Leavesly Junior was the next farm and Leavesly Senior had the end farm on Woolsthorpe Lane. 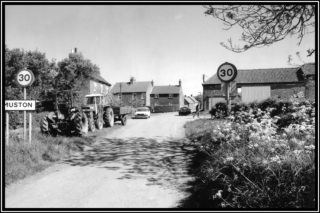 Calcraft’s farm was in Syke’s lane. 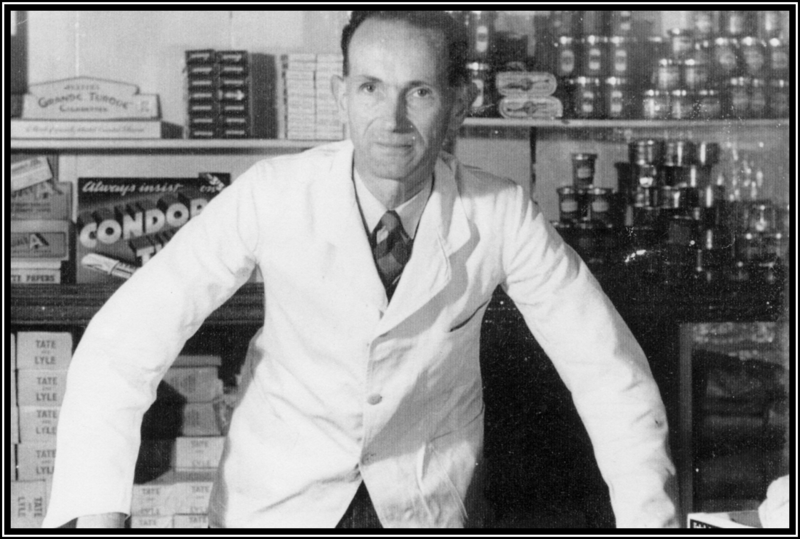 The other farmers were Jack Moore, Chandlers, Coddingtons and Hodgkinsons at Spray farm. Herbert also remembers that his mother would cut bands for the threshing machine. Muston Post Office was run by Mrs Shipman, who was also the Postmistress. Carringtons sold sweets, when available and cigarettes, opposite the Homestead. There was an excellent Nottingham-Grantham bus service, run by Lincolnshire Road Company and Trent. 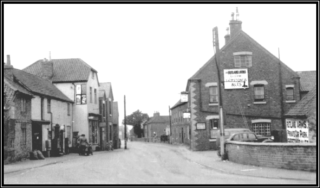 Mrs Turner was able to catch the 5 pm bus from Muston to Bottesford; she would do her grocery shopping at Ottley’s shop, opposite the Rutland Arms, and then catch the 5-30 pm bus back to Muston. Randell’s buses ran the school service, and there was a Randell’s bus service to Grantham on Saturdays, Melton on Tuesdays and Newark on Wednesdays (market days). 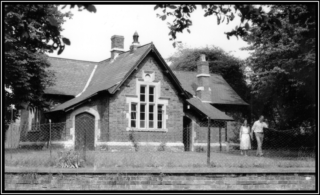 Herbert attended Muston School for a short period. Mrs Brown was the school teacher. Alan Hodgkinson, Peter Robinson, Gerald Coy and Melvin Bradbury lived in Muston at that time. The children made their own entertainment usually and on rare occasions went to the cinemas in Grantham. Herbert won a scholarship to Melton Grammar school. He would have to bike to Bottesford and catch the bus from there to Melton; he would repeat the journey at the end of the day. It was a relatively safe journey as there was not a lot of traffic. 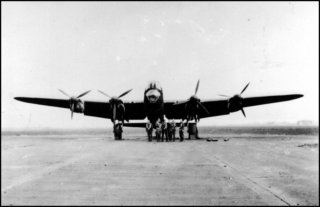 Herbert used to watch the Lancaster Bombers going over Muston from Normanton Airfield at night by their navigation lights, and sometimes heard them return. During the day he observed Spitfires and Hurricane Bombers, and once an Oxford Pilot Trainer plane, painted yellow. He witnessed an aeroplane break up in flight, a wing fell off and it crashed near Sedgebrook. There are sad memories, such as when Mrs Brown’s daughter Beryl’s boyfriend, an Air Gunner, who did not return home one time and was declared missing, believed killed. Herbert cannot remember feeling afraid. There was one bad episode however when Normanton Airfield was being heavily bombarded and the house and windows shook and rattled. Mr Shipman banged on the door and told everyone to go downstairs to the cellars. Mrs Turner refused to do so until Mr Shipman had provided a pick, in case the house collapsed! The picture approaching Muston was taken from what was Easthorpe Lane, now cut by the A52. I biked this lane each day when attending Belvoir School in Bottesford in the 50s & early 60s. Just after the house on left the road split – going left took you down to the bridge over the Devon and to the Church, while straight ahead was up past the green to Woolsthorpe lane. The right hand side was all farms in those days. Some mornings when leaving for School we would pick up a dairy herd just let out from milking at Peacock Farm and drive them down Easthorpe lane to their day pasture. On quite a few occasions Mr Dewy, the headmaster of Belvoir School, would get caught at the rear of this procession in his car. He lived in Muston at Top farm or Norman Farm l believe it’s called, anyway the last one before Woolsthorpe Lane.